Setting up a golf tournament or outing has never been easier! Exeter Country Club is the perfect place for a group golf outing, special event, fundraiser or company function. From the start of the day to its conclusion, let us help you plan an outing that matches your needs. For groups of 10 or more, we’ll be happy to help you choose from our menu of golf, catering, club support services and marketing options. Exeter Country Club combines a great golf experience with the unmatched beauty of the New Hampshire landscape. Our seamless integration of friendly service and gorgeous natural surroundings is what will bring your group back year after year. Your guests are sure to enjoy the hospitality of our staff along with the graceful beauty of our facility. 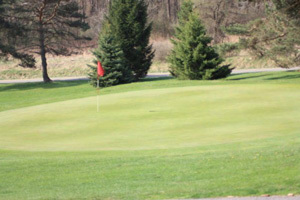 Each year Exeter Country Club entertains numerous private groups and organizations. Regardless of the size of the group or the reason for their golf event, our staff works diligently to make their golf outing a success. Explore your options with Exeter and experience what has made our golf course one of the Seacoast’s best.